I’ve decided to break up the manuscript I’ve been working on. Well, I’ve been working on several manuscripts, but the one I’m breaking up is the next one up for publication. The story sprawls, and I like it that way. The story is nothing like Harry Potter. Well, okay, the main character is 11 at the start and magic happens, but that’s it. My story isn’t for that age group. I don’t write like J.K. Rowling. But I love the Harry Potter series. 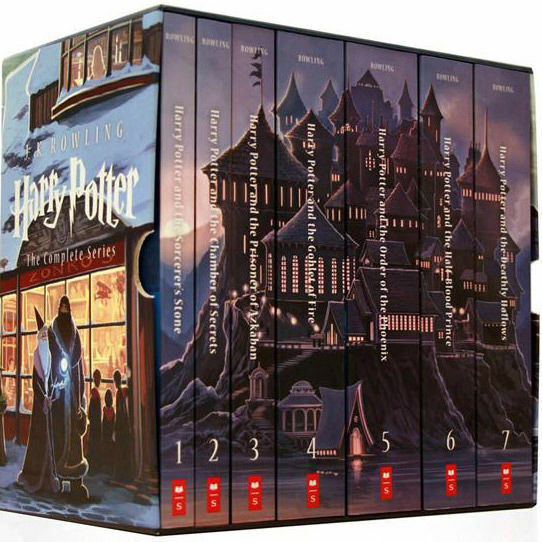 Rowling’s ability to work out such a plot, to put together seven books, to keep track of all she had in her imagination astounds. So, I’m rereading the books. This time though, I’m taking notes. I hope to learn something. How does one keep so much story together? How does one lay down all the pieces to keep the reader on the path, compelled to keep going? In theory, if you can keep track of a story one book long, you should be able to do so for as many books as you wish. Right? Okay, maybe not. Just because I can run down the driveway, doesn’t mean I can run a marathon. Not yet anyway. With training? I don’t know. I actually can’t run down the driveway. My back is a mess. But whatever. I’m going to turn my novel into a series. Though “series” might be the wrong word. Like Harry Potter, or, say, Lord of the Rings, it’s really one long story broken into parts. Who knows? My publisher might want to publish a giant book! But I like the idea of a book in parts. I don’t know why I like this idea, but I do. Will this work? No idea. Thank you for reading and commenting. I’ve never been pro or anti series. But if I love a story, I like knowing I can revisits the characters. But a series for the sake of just trying to sell more books seems like a poor idea indeed. I love well constructed series. Harry Potter was to me a commentary on the damages caused by intolerance. One magical group believes itself to be better, more pure than another. This belief requires those who believe it to accept an orphan part muggle part wizard leader as the representative of this purity of blood. We see its affects within the school society first, within it’s houses and among the students masquerading as ‘normal’ competitiveness. But is it normal? Later the teachers, masters and eventually the whole magical population shows this sickness and through Harry we see the price paid for it. It is well done because even Harry becomes caught up in it. He is tangled in his judgement about Snape and others and confused by Dumbledore’s inability to disclose what he knows, as well as what his real role is in all of it. Is he a savior, a survivor, is he something better at the end than he was in the beginning? A series requires a world in need of change from the personal level of the main characters to the greater world//country they inhabit. You see it in Phillip Pullman’s books. It begins as a rescue of captured children and quickly becomes a question of everyone’s freedom. A small problem that has its roots in a cultural mares nest. This ain’t wisdom, it’s just stuff I’ve noticed. Good points, Gretchen! And I love Phillip Pullman! I now have a lot to think about. Oh, I’m glad you mentioned that about the price. That is an excellent point. But for this, I feel a series would work. Of course, in a perfect world (my perfect world anyway), someone would want to buy all my books, series or no! But, ha! I’m getting ahead of myself. I’ll give a series a try and see how it goes.